The kitchen has always been the center of the home. The Goddess Vesta was the goddess of the hearth. While we don't cook on hearths today, we do have kitchens where we practice our spiritual concepts, since the food that we cook, and the herbs and aromatics we use to change the consciusness are prepared herewhether we use a stove or a fireplace. This is a book about how to permeate your home with your work, and will appeal to people interested in wicca, shamanism, neopaganism, or those who practice any religion that deals with developing inner strength, love, and healing. Janet Thompson discusses medicinal and magical herbs, spells, incense, tokens, amulets, working with color, aromatherapy, crystals, purification, baths, ritual, moon phases, the pathwork to the crone, the witches wheel (the festivals), and recipes. 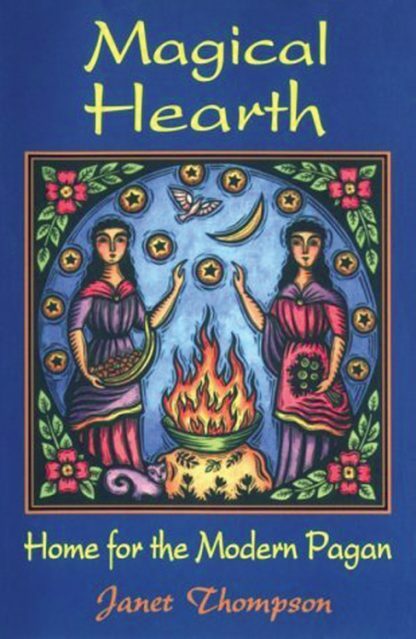 She provides practical insights for people who are just starting to live the pagan way!